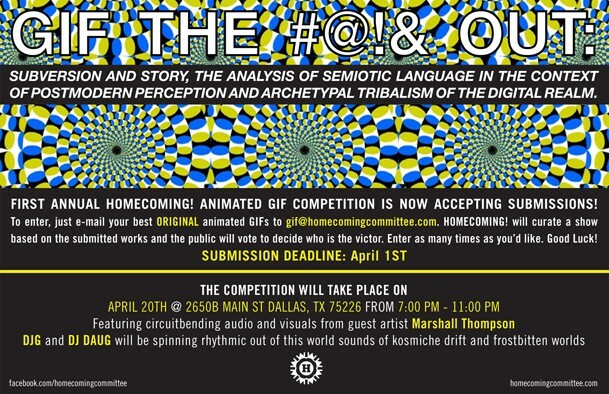 To enter, just e-mail your best ORIGINAL animated GIFs to gif@homecomingcommittee.com. HOMECOMING! will curate a show based on the submitted works and the public will vote to decide who is the victor. There will be winners, there will be losers, there will be prizes and there will be tears. Good luck! Not all submissions will be used, but submit as many times as you’d like.